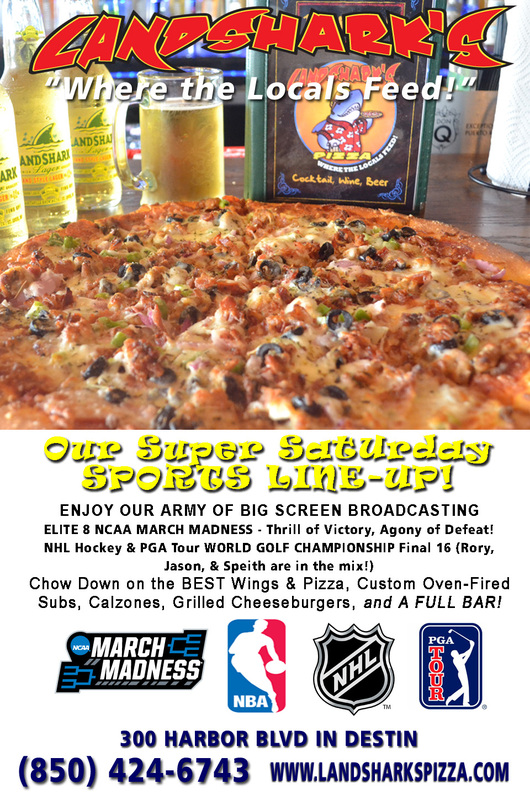 / Destin Sports Bar / Landshark’s Super Saturday Sports Line-Up! Landshark’s Super Saturday Sports Line-Up! 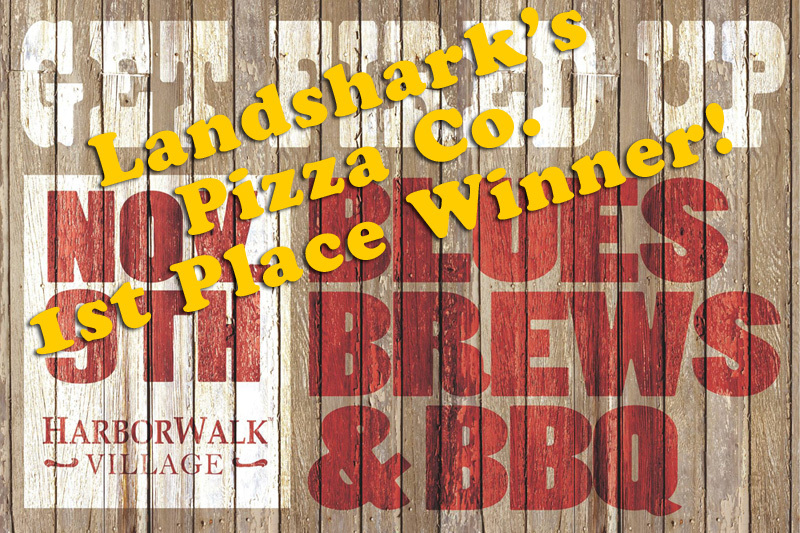 IT’S SUPER-SATURDAY SPORTS AT LANDSHARK’S – VOTED THE BEST PIZZA IN DESTIN 2016! 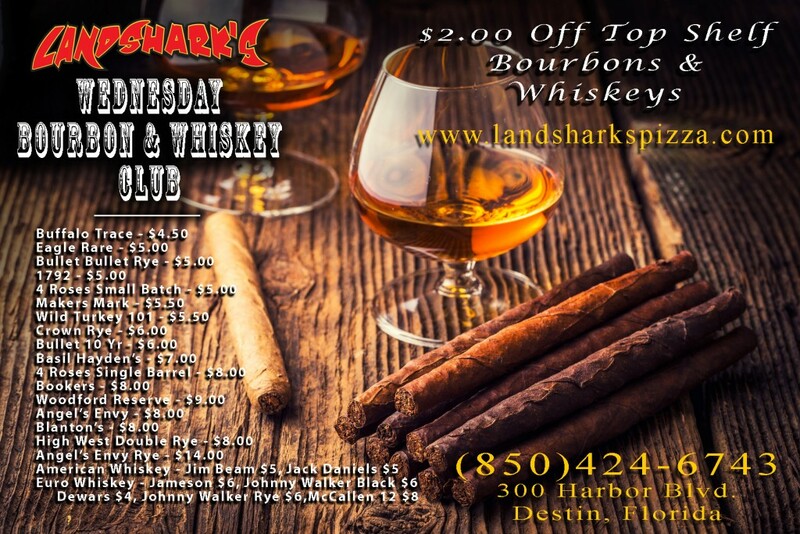 ENJOY THE LANDSHARK’S FULL BAR – We’ve got beverages for young and adult, soft drinks, bottles & drafts, local, regional, and national brews, Bourbons, Vodkas, Whiskeys – really great stuff AND IN ADDITION to that our HAPPY HOUR STARTS AT 3PM! WE’VE GOT MARCH MADNESS WITH THE ELITE 8 – #2 Oklahoma Vs. #1 Oregon and #2 Villanova Vs. #1 Kansas. 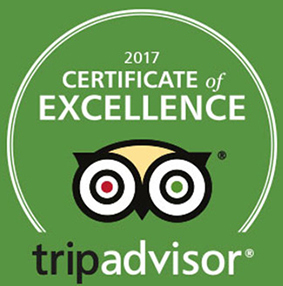 Been nothing but heart attacks and fits of celebration now for two days – COME CHEER WITH US! The PGA Tour WORLD GOLF CHAMPIONSHIP Match Play is in full swing with some pretty big names already eliminated. Rory, Jason, and Jordan are in the SWEET 16 and the tension ramps up even more today as your favorite pro may be PUTTING it all on the line! Wait…was that a pun? Plenty of NHL Action Going down today! MAJOR LEAGUE BASEBALL will be broadcasting on MONDAY AT NOON – Perfect for BURGER MONDAY $6.99 Custom-Built, Custom-Grilled Burger Basket with Succulent Seasoned Fries while you catch the game. Previous Post: « T.G.I.F. 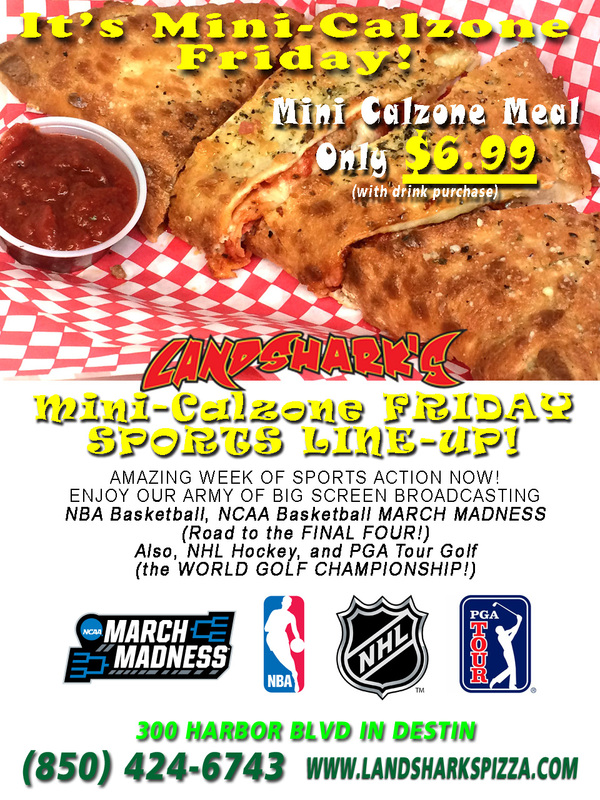 MEGA MINI-CALZONE FRIDAY – ONLY $6.99 FOR A FEAST!